Whats up lovers of MOVES and RHLS?! Surprise! We are doing a pop up shop this weekend in the courtyard of the Holy BOS Festival! Take some time to bop around holybos.com and check out all the incredible performances, screenings, installments, yoga, brunch and art of all kinds available to enjoy inside the gorgeous 27,000 Sq ft Bobby Redd Church! 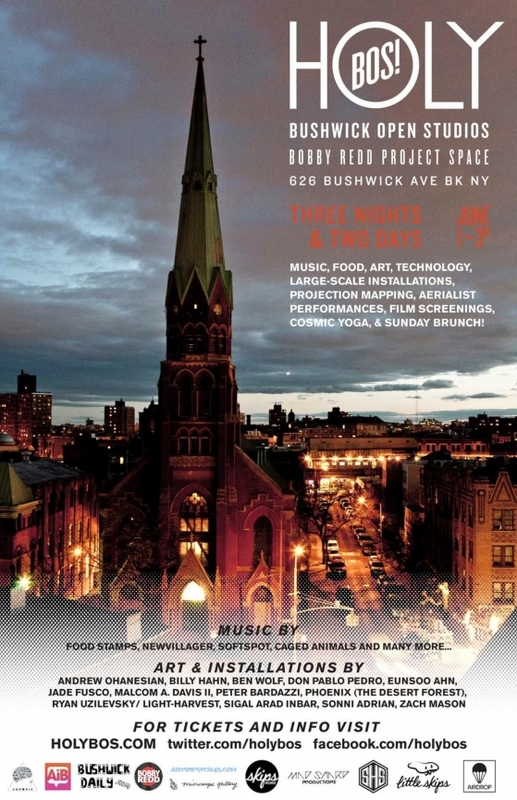 The 2 day and 3 night event seeks to celebrate and promote the arts in Bushwick, Brooklyn. A VERY special edition of Cosmic Yoga will take place this Saturday at a new, unique space. It is the former St. Mark's Lutheran Church at Bushwick and Troutman. It has beautiful stained glass windows and an amaaazing pipe organ which we will make use of during our asanas. Limited MATS are available for use.